ESTRELLITA TADEO-MATIAS, PETITIONER, V. REPUBLIC OF THE PHILIPPINES, RESPONDENT. This is an appeal assailing the Decision dated November 28, 2016 and Resolution dated March 20, 2017 of the Court of Appeals (CA) in CA-G.R. SP No. 129467. 11. That this petition is being filed not for any other purpose but solely to claim for the benefit under P.D. No. 1638 as amended. The petition was docketed as Spec. Proc. No. 4850 and was raffled to Branch 65 of the Tarlac City RTC. A copy of the petition was then furnished to the Office of the Solicitor General (OSG). Subsequently, the OSG filed its notice of appearance on behalf of herein respondent Republic of the Philippines (Republic). WHEREFORE, in view of the foregoing, the Court hereby declared (sic) WILFREDO N. MATIAS absent or presumptively dead under Article 41 of the Family Code of the Philippines for purposes of claiming financial benefits due to him as former military officer. The Republic questioned the decision of the RTC via a petition for certiorari. WHEREFORE, premises considered, the petition for certiorari is GRANTED. The Decision dated January 15, 2012 of the Regional Trial Court, branch 65, Tarlac City, in Special Proceeding no. 4850 is ANNULLED and SET ASIDE, and the petition is DISMISSED. 1. The RTC erred when it declared Wilfredo presumptively dead on the basis of Article 41 of the Family Code (FC). Article 41 of the FC does not apply to the instant petition as it was clear that petitioner does not seek to remarry. If anything, the petition was invoking the presumption of death established under Articles 390 and 391 of the Civil Code, and not that provided for under Article 41 of the FC. 2. Be that as it may, the petition to declare Wilfredo presumptively dead should have been dismissed by the RTC. The RTC is without authority to take cognizance of a petition whose sole purpose is to have a person declared presumptively dead under either Article 390 or Article 391 of the Civil Code. As been held by jurisprudence, Articles 390 and 391 of the Civil Code merely express rules of evidence that allow a court or a tribunal to presume that a person is dead&mdash;which presumption may be invoked in any action or proceeding, but itself cannot be the subject of an independent action or proceeding. Petitioner moved for reconsideration, but the CA remained steadfast. Hence, this appeal. The CA was correct. The petition for the declaration of presumptive death filed by the petitioner is not an authorized suit and should have been dismissed by the RTC. The RTC's decision must, therefore, be set aside. A conspicuous error in the decision of the RTC must first be addressed. It can be recalled that the RTC, in the fallo of its January 15, 2012 Decision, granted the petitioner's petition by declaring Wilfredo presumptively dead "under Article 41 of the FC." By doing so, the RTC gave the impression that the petition for the declaration of presumptive death filed by petitioner was likewise filed pursuant to Article 41 of the FC. This is wrong. Art. 41. A marriage contracted by any person during subsistence of a previous marriage shall be null and void, unless before the celebration of the subsequent marriage, the prior spouse had been absent for four consecutive years and the spouse present has a well-founded belief that the absent spouse was already dead. In case of disappearance where there is danger of death under the circumstances set forth in the provisions of Article 391 of the Civil Code, an absence of only two years shall be sufficient. For the purpose of contracting the subsequent marriage under the preceding paragraph the spouse present must institute a summary proceeding as provided in this Code for the declaration of presumptive death of the absentee, without prejudice to the effect of reappearance of the absent spouse. Here, petitioner was forthright that she was not seeking the declaration of the presumptive death of Wilfredo as a prerequisite for remarriage. In her petition for the declaration of presumptive death, petitioner categorically stated that the same was filed "not for any other purpose but solely to claim for the benefit under P.D. No. 1638 as amended." Art. 390. After an absence of seven years, it being unknown whether or not the absentee still lives, he shall be presumed dead for all purposes, except for those of succession. The absentee shall not be presumed dead for the purpose of opening his succession till after an absence of ten years. If he disappeared after the age of seventy-five years, an absence of five years shall be sufficient in order that his succession may be opened. (3) A person who has been in danger of death under other circumstances and his existence has not been known for four years. Verily, the RTC's use of Article 41 of the FC as its basis in declaring the presumptive death of Wilfredo was misleading and grossly improper. The petition for the declaration of presumptive death filed by petitioner was based on the Civil Code, and not on Article 41 of the FC. The true fault in the RTC's decision, however, goes beyond its misleading fallo. The decision itself is objectionable. Since the petition filed by the petitioner merely seeks the declaration of presumptive death of Wilfredo under the Civil Code, the RTC should have dismissed such petition outright. This is because, in our jurisdiction, a petition whose sole objective is to have a person declared presumptively dead under the Civil Code is not regarded as a valid suit and no court has any authority to take cognizance of the same. The above ruling in Szatraw has since been used by the subsequent cases of Lukban v. Republic and Gue v. Republic in disallowing petitions for the declaration of presumptive death based on Article 390 of the Civil Code (and, implicitly, also those based on Article 391 of the Civil Code). 1. Articles 390 and 391 of the Civil Code merely express rules of evidence that only allow a court or a. tribunal to presume that a person is dead upon the establishment of certain facts. 2. Since Articles 390 and 391 of the Civil Code merely express rules of evidence, an action brought exclusively to declare a person presumptively dead under either of the said articles actually presents no actual controversy that a court could decide. In such action, there would be no actual rights to be enforced, no wrong to be remedied nor any status to be established. 3. 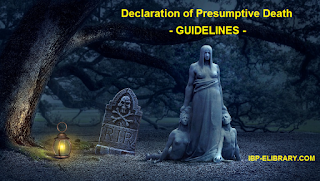 A judicial pronouncement declaring a person presumptively dead under Article 390 or Article 391 of the Civil Code, in an action exclusively based thereon, would never really become "final" as the same only confirms the existence of a prima facie or disputable presumption. The function of a court to render decisions that is supposed to be final and binding between litigants is thereby compromised. 4. Moreover, a court action to declare a person presumptively dead under Articles 390 and 391 of the Civil Code would be unnecessary. The presumption in the said articles is already established by law. Verily, under prevailing case law, courts are without any authority to take cognizance of a petition that&mdash;like the one filed by the petitioner in the case at bench&mdash;only seeks to have a person declared presumptively dead under the Civil Code. Such a petition is not authorized by law. Hence, by acting upon and eventually granting the petitioner's petition for the declaration of presumptive death, the RTC violated prevailing jurisprudence and thereby committed grave abuse of discretion. The CA, therefore, was only correct in setting aside the RTC's decision. Before bringing this case to its logical conclusion, however, there are a few points the Court is minded to make. It is not lost on this Court that much of the present controversy stemmed from the misconception that a court declaration is required in order to establish a person as presumptively dead for purposes of claiming his death benefits as a military serviceman under pertinent laws. This misconception is what moved petitioner to file her misguided petition for the declaration of presumptive death of Wilfredo and what ultimately exposed her to unnecessary difficulties in prosecuting an otherwise simple claim for death benefits either before the Philippine Veterans' Affairs Office (PVAO) or the Armed Forces of the Philippines (AFP). What the Court finds deeply disconcerting, however, is the possibility that such misconception may have been peddled by no less than the PVAO and the AFP themselves; that such agencies, as a matter of practice, had been requiring claimants, such as the petitioner, to first secure a court declaration of presumptive death before processing the death benefits of a missing serviceman. 1. The PVAO and the AFP can decide claims of death benefits of a missing soldier without requiring the claimant to first produce a court declaration of the presumptive death of such soldier. In such claims, the PVAO and the AFP can make their own determination, on the basis of evidence presented by the claimant, whether the presumption of death under Articles 390 and 391 of the Civil Code may be applied or not. It must be stressed that the presumption of death under Articles 390 and 391 of the Civil Code arises by operation of law, without need of a court declaration, once the factual conditions mentioned in the said articles are established. Hence, requiring the claimant to further secure a court declaration in order to establish the presumptive death of a missing soldier is not proper and contravenes established jurisprudence on the matter. 2. In order to avail of the presumption, therefore, the claimant need only present before the PVAO or the appropriate office of the AFP, as the case may be, any "evidence" which shows that the concerned soldier had been missing for such number of years and/or under the circumstances prescribed under Articles 390 and 391 of the Civil Code. Obviously, the "evidence" referred to here excludes a court declaration of presumptive death. 3. 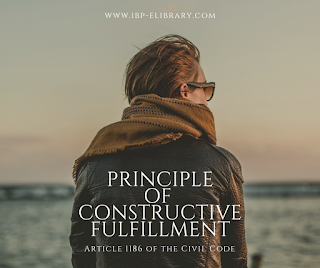 The PVAO or the AFP, as the case may be, may then weigh the evidence submitted by the claimant and determine their sufficiency to establish the requisite factual conditions specified under Article 390 or 391 of the Civil Code in order for the presumption of death to arise. If the PVAO or the AFP determines that the evidence submitted by the claimant is sufficient, they should not hesitate to apply the presumption of death and pay the latter's claim. 4. If the PVAO or the AFP determines that the evidence submitted by the claimant is not sufficient to invoke the presumption of death under the Civil Code and denies the latter's claim by reason thereof, the claimant may file an appeal with the Office of the President (OP) pursuant to the principle of exhaustion of administrative remedies. If the OP denies the appeal, the claimant may next seek recourse via a petition for review with the CA under Rule 43 of the Rules of the Court. And finally, should such recourse still fail, the claimant may file an appeal by certiorari with the Supreme Court. While we are constrained by case law to deny the instant petition, the Court is hopeful that, by the foregoing guidelines, the unfortunate experience of the petitioner would no longer be replicated in the future. WHEREFORE, the instant appeal is DENIED. The Decision dated November 28, 2016 and Resolution dated March 20, 2017 of the Court of Appeals in CA-G.R. SP No. 129467 are AFFIRMED. The Court declares that a judicial decision of a court of law that a person is presumptively dead is not a requirement before the Philippine Veterans' Affairs Office or the Armed Forces of the Philippines can grant and pay the benefits under Presidential Decree No. 1638. Let a copy of this decision be served to the Philippine Veterans' Affairs Office and the Armed Forces of the Philippines for their consideration. Bersamin, Martires, and Gesmundo, JJ., concur. Leonen, J., dissent. See separate opinion. Please take notice that on April 25, 2018 a Decision, copy attached hereto, was rendered by the Supreme Court in the above-entitled case, the original of which was received by this Office on May 17, 2018 at 3:40 p.m.
 Rollo, pp. 29-36. The decision was penned by Associate Justice Victoria Isabel A. Paredes with Associate Justices Magdangal M. De Leon and Elihu A. Yba&ntilde;ez concurring. Id. at 78-80. The decision was penned by Judge Ma. Magdalena A. Balderama. The RTC issued the corrected version of the dispositive portion on the same day it issued the decision. Under Rule 65 of the Rules of Court. Executive Order No. 209, s. 1987. No. L-1780, August 31, 1948. 24. That a person not heard from in seven years is dead. In re: Petition for the Presumption of Death of Nicolai Szatraw, supra note 12, in relation to Lukban v. Republic, supra note 14 and Gue v. Republic, supra note 15. Valdez v. Republic of the Philippines, G.R. No. 180863, September 8, 2009, citing Gue v. Republic, supra note 15. Manuel v People of the Philippines, G.R. No. 165842, November 29, 2005 citing TOLENTINO, THE NEW CIVIL CODE, VOL. I, 690. See also Valdez v. Republic, supra note 17. The "evidence" referred to include, but are not limited to, the official service records of the missing soldier showing for how long he had been missing and his last assignments and affidavits of persons who knew the circumstances of the missing soldiers' disappearance. copyright 2018 by IBP-ELIBRARY,COM and Alex A. Valdez ----. Simple theme. Powered by Blogger.